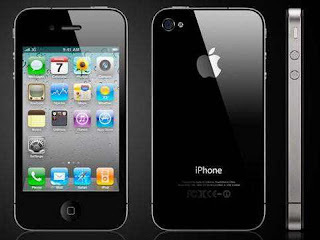 The iPhone 4 has finally arrived in India courtesy Airtel and Aircel. The phone has a number of changes from its predecessor, the iPhone 3GS, in design as well as hardware. It has a 3.5-inch retina display with multi-touch and a gyro sensor. The phone runs a 1Ghz processor with 512MB RAM and comes in 16/32GB variants. It has 3G, Wi-FI with hotspot functionality, Bluetooth, GPS connectivity and a 5MP rear camera with LED flash that records videos in 720p HD resolution. The S II is large (but lighter than the Galaxy S), ultrathin at 8.5mm (the iPhone 4 is 9.3mm), more feature-packed and has a display capable of shaming any mobile phone display in the business. Details on paper are very well, but the sheer brilliance, brightness, colours and viewing angles of the display cannot be expressed in words — you simply have to see it for yourself. 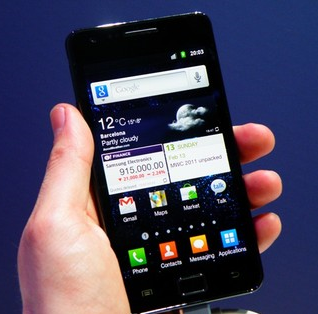 And if you think your current smartphone has a nice display, hold it up to the S II and prepare to be blown away. So, to sum up, the S II is undeniably fantastic. It’s probably on the wishlist of many gadget-lovers already & is a must-have for anyone looking to spend around 30k on a smartphone. 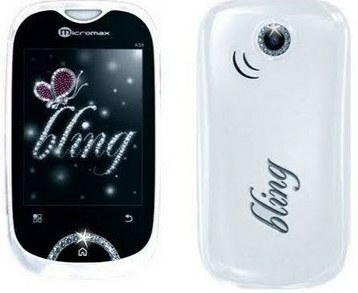 Sporting a glossy white finish with studded crystals on the front and back, the Bling 2 is targeted mainly towards the females. The phone comes with a white leather pouch case that has a compact mirror embedded in it, as well as space to carry cosmetics. The phone comes with the Micromax App Store preloaded.